Pristine 772 g Chelyabinsk individual. The position and course of shock planes can clearly be seen under the thin layer of secundary fusion crust that covers all surfaces of the specimen. Rough edges and coarse texture point to a late-stage fragmentation shortly prior to the transition into dark flight. 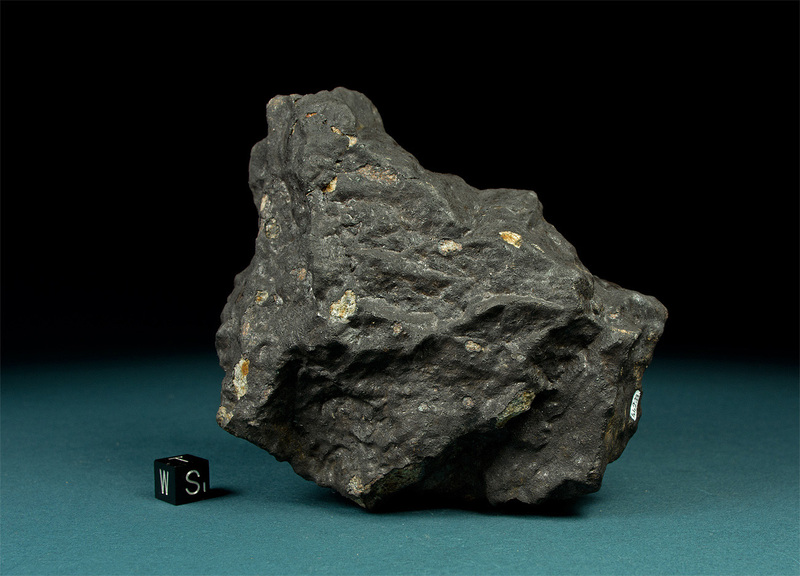 Despite the large number of recovered meteorites, Chelyabinsk specimens of this size are rare. 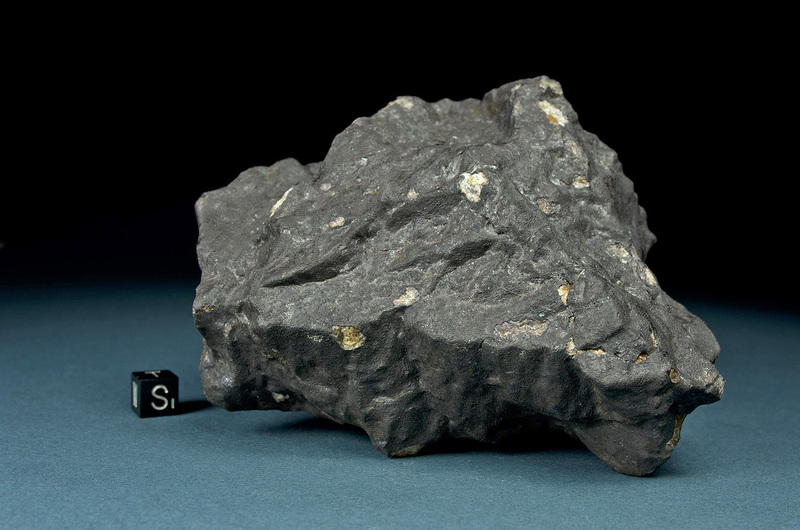 The 772 g individual ranks number 31 in the mass-sorted register of documented finds.